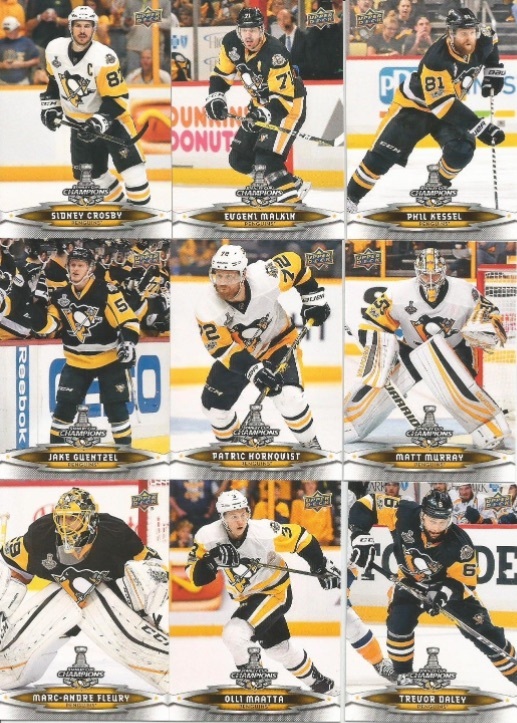 To the victors go the spoils, and in this case that means a 2017 Upper Deck Stanley Cup Champions Hockey set for fans and collectors of the Pittsburgh Penguins. 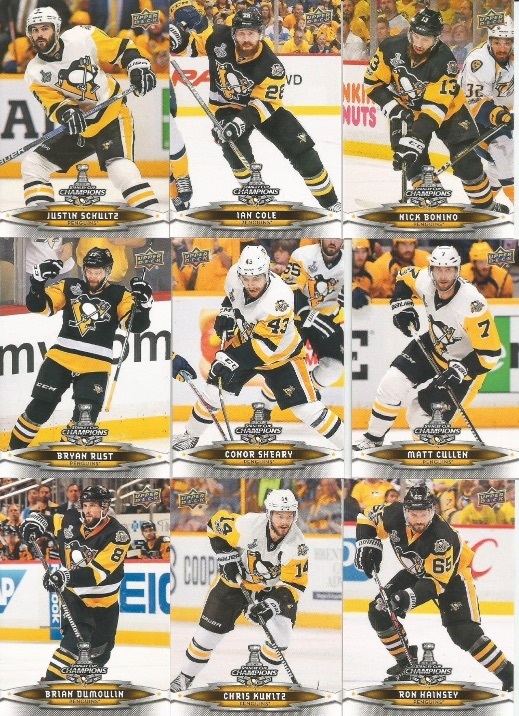 Issued as a complete factory set, the 2017 Upper Deck Stanley Cup Champions Hockey checklists offers up 18 players that were critical to the team's title run. 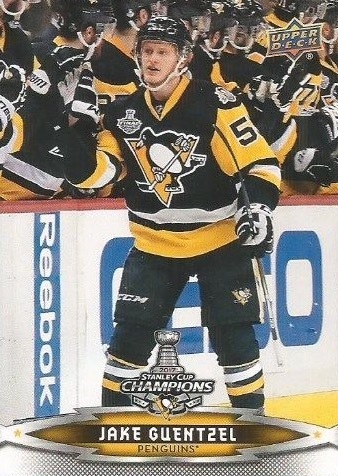 The card lineup obviously includes superstar Sidney Crosby and young stud Jake Guentzel. Similar to the 2016 set, which also honors the Penguins, the limited-edition packs are exclusive to Upper Deck Authorized Internet Retailers and select Certified Diamond Dealers in the Pittsburgh area. 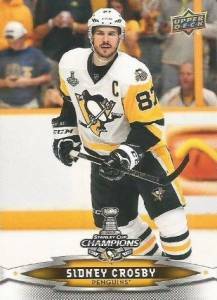 The Penguins ultimately defeated the Nashville Predators in six games to keep the Cup in Pittsburgh for another year.